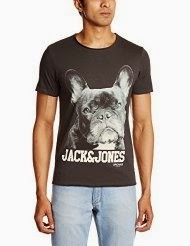 Here you can get Minimum 50% OFF on Jack & Jones T-Shirts worth of Rs.495, can be get it at Just Rs.247 only. Please hurry to take the advantage of this large discount offer. Enjoy the Deal with Jack & Jones T-Shirts.